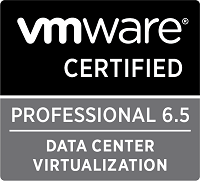 This is Part 6 of my series on vSphere Performance data. Part 1 discusses the project, Part 2 is about exploring how to retrieve data, Part 3 is about using Get-Stat for the retrieval. Part 4 talked about the database used to store the retrieved data, InfluxDB. Part 5 showed how data is written to the database. This post will show some results of our work! 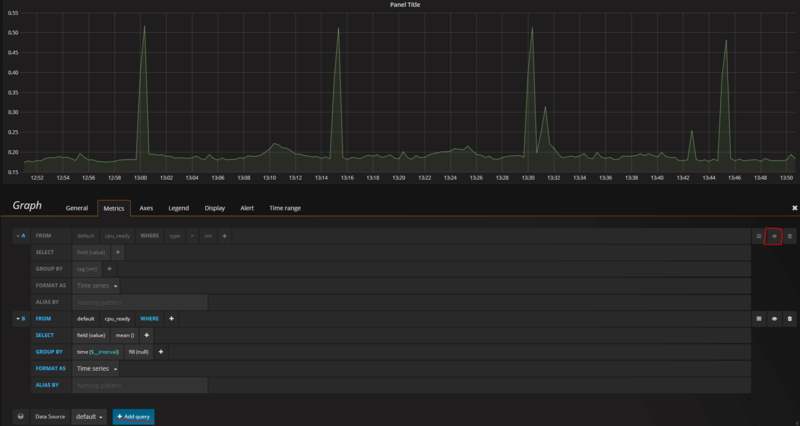 As I talked about in Part 1 I had decided to go with Grafana as the front-end. Grafana is an open source software for time series analytics which can make use of several datasources, making it the perfect match for the data in my InfluxDB. Installing Grafana is easy and the documentation on their site is great so I won’t go into much detail about that. As with the InfluxDB VM I went with an RHEL 7 VM with 1 vCPU and 4GB RAM to start with. After installation and some minor config stuff I was ready to connect to InfluxDB. And wow, how easy this thing is! 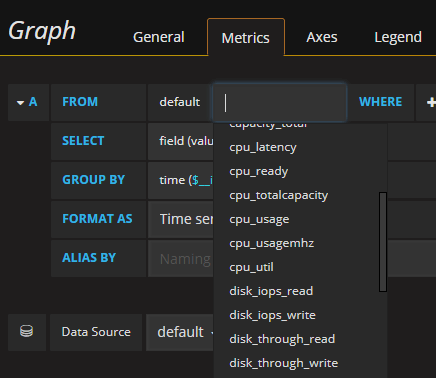 Just create a datasource in Grafana pointing to the Influx server, it will find your databases, select the right one, save and that’s it. Now you can start creating Dashboards! 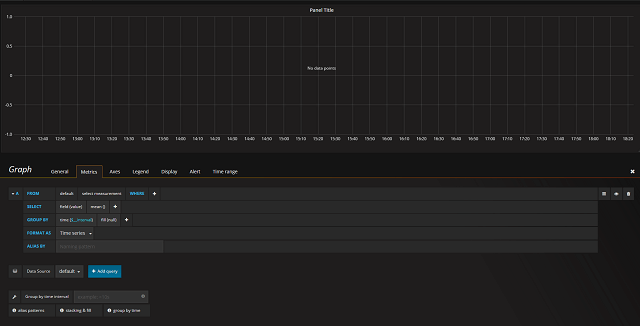 A Grafana dashboard is built up of Rows with different panels. Most panels has a Query editor which will expose stuff in your connected datasource. There are many different Panels available out of the box. Probably sufficient for most use cases. The one I will use the most is the Graph panel. The Query editor inside the Panel editor is where you define what metrics you want to show. You’ll need some understanding of the data you want to show and how the data is stored and queried. Different datasources can do this differently so some exploring needs to be done. 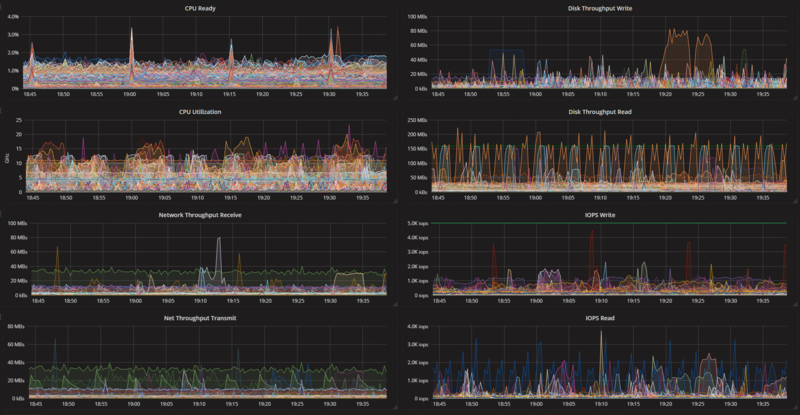 One thing that was truly amazing (and keeps amazing me) when I started out exploring Grafana against my InfluxDB datasource was the amount of data that was pulled from the database and shown in different graphs in a short amount of time. With that said, I wouldn’t recommend «pushing the limits» too far. Especially if you will have Grafana available to people in your organization. If data is available it will be used. And with the amount of data this kind of project will produce people would be able to run some heavy graphs! Think of 10 metrics on 20 second intervals for 4000 VMs for say 1 week, a month? Another feature of a Dashboard is the Templating ability. This introduces what I would refer to as «Filters». You can create some filters based on queries on your metadata tags in an Influx point. This is one of the reasons why I added things like Host, Cluster, vCenter and Companycode to my measurement points. Note that the query done for getting these tags is not reflecting what other templates/filters you have chosen on your Dash. Neither can you do a «where» on them. This means that if I would have a filter/template on VMs then ALL the VMs will be available in the dropdown. Creating the dashboards is easy. When you select to create a new dashboard you’ll get a blank dashboard with one row and some panels to choose from. I’ll start with the Graph panel as this is the one I use the most. After selecting the Graph panel, just click somewhere in the panel heading and you’ll get the Panel editor. From here you select your query and can set some options on the graph it self. By default it will show the mean value grouped by the time interval which in my case won’t show much. Now I have one line per VM with their value in this time period (this graph now shows all VMs from one of our clusters that has over 1000 VMs). You can set Thresholds which will add some nice lines or fills to the graph when the values have crossed a certain Threshold. The Alert tab can be used to alert you when some value is at a certain threshold, and you can override the Time interval set for the Dashboard. A nice looking graph which in an easy way can give you an overview of a metric in you environment. This graph is one example of how we now are able to in a quick and easy way learn that there is something going on in the environment at regular intervals (every 15 minutes as this shows) which we haven’t had before. The same is available in vCenter, but on a per VM basis, and the granularity would be lost after the aggregation scripts had run. Here’s some quick examples of other panels we have built. I won’t go in to more details on how to build the panels or what data to show. The best way to learn about these is to play around with them and find your way to present the data! Here’s an example of a dashboard showing some metrics for all VMs in one of our clusters. After you have created some panels you can easily add more rows to add more panels, rearrange the panels by simply dragging and dropping them to another place, duplicate panels or delete them from the dashboard. Don’t forget to save your Dashboard when you’re done! 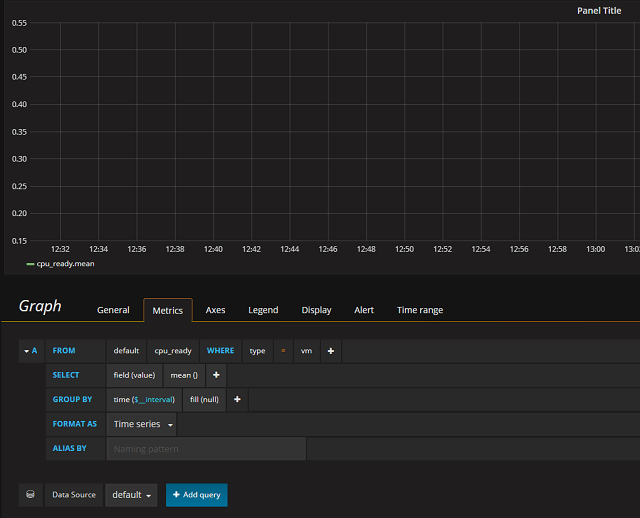 Note that the dashboards you create are available to others that have access to Grafana. There are 3 different roles, Admin, Editor and Viewer, but all roles have access inside their Organization. Users can have access to more Organizations so if you want to restrict something Organizations is the way to go at this point. Organizations do not share dashboards, data sources and some other config settings so if your goal is simply to hide a few dashboards this could be a bit of a hassle as you would possibly need to replicate data sources and configuration. The templating functionality is nice but I miss the ability to (dynamically) filter on the Tags used. I would also love the ability to restrict dashboards from/to (groups of) users without creating Organizations. 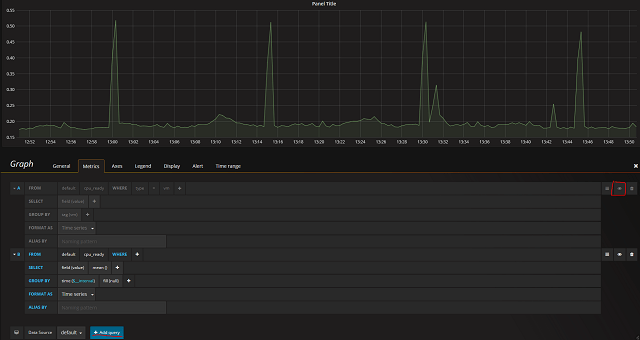 Besides this we really love playing around with the data in Grafana. It gives us a really quick and easy way to gain valuable insight on our environment. Insight we have had to spend much more time digging around for previously. 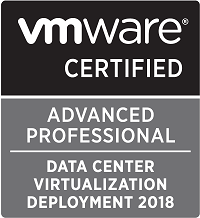 And it makes the data available to people in the organization not that familiar with vCenter and the vSphere clients.